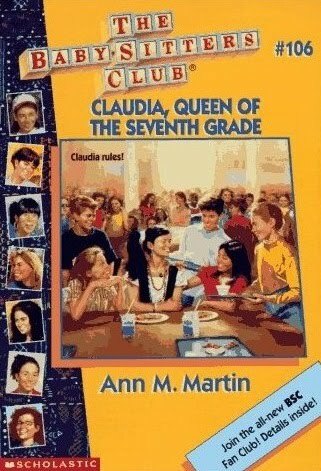 Summary: While Claudia’s sitting for the Braddocks, Haley lies about a homework assignment and Claudia accidentally rats her out to her parents. Haley’s mad that Claudia got her in trouble, so she tries to turn all the kids she knows against the BSC girls, saying they’re all spies for the kids’ parents. After all, the parents are the ones who pay the sitters, so why wouldn’t the girls tell them what they want to hear? Haley tries to drum up some anti-spy sentiment, just like a little Joseph McCarthy. This continues forever, with Haley telling lie after lie and getting in more and more trouble with her parents. The other kids side with her; apparently it makes more sense to them that their beloved sitters are the bad guys than that Haley is just a pathological liar. Claudia keeps sitting for the Braddocks, and things get so bad that the Braddocks decide Claud shouldn’t come over anymore until they figure things out with Haley. 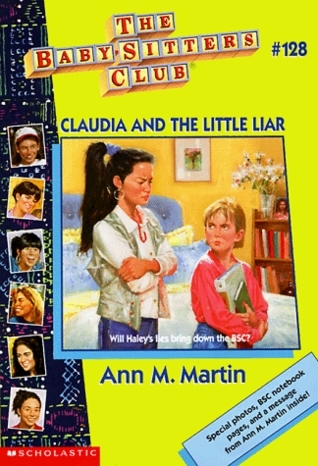 Eventually Mary Anne comes up with the idea of role-playing: Haley and Claudia will act out one of the situations that led to lying so that the Braddocks can figure out what really happened. It doesn’t go well – Haley just lies some more. But then she gets upset and runs off, so Claudia follows to talk to her, and gets her to admit that she’s having trouble with her schoolwork. Since Claudia can sympathize, she’s not really mad anymore. And now that the truth is out, Haley can stop lying about freaking everything. The B-plot is about Claudia’s relationship with Josh, her previously friendzoned boyfriend. Turns out he should have been left in the friendzone, because they don’t really like each other like that. Well, Claudia doesn’t like him like that. I’m not convinced that he doesn’t just pretend to say the same thing so they can stay friends. The C-plot is about how Kristy is coaching a girls’ basketball team. I guess Kristy’s good at every sport? 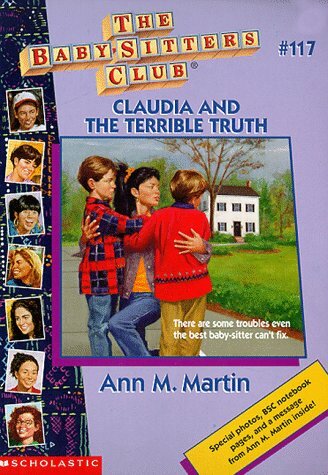 Thoughts: Can there really be Nancy Drews that Claudia hasn’t read yet? How did the Braddocks not notice that Haley was having problems with her schoolwork? I always thought they were pretty attentive parents. I miss awesome Haley. Come back, awesome Haley! 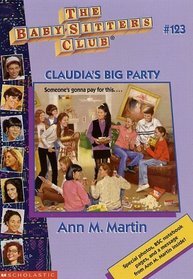 Summary: In a nutshell, Claudia throws a party and gets caught. In a larger nutshell, Mr. and Mrs. Kishi go out of town for a few days and let Claudia and Janine stay home by themselves. Claudia’s been having trouble finding time to hang out with all her friends – the BSC girls and the friends she made while she was in the seventh grade – and she decides that throwing a party is a good way for them all to get to know each other. Janine okays the idea, and they decide not to ask their parents’ permission. The party gets off to a bad start when uninvited guests show up. Apparently someone (LOGAN) mentioned the party to a few non-BSC people and said it was okay if they came. This means there isn’t enough food for everyone. (I don’t know why they don’t just order another pizza.) Janine is supposed to be in charge, but she’s been feeling lonely thanks to her lack of boyfriend and being distant from her friends, so she just hangs out with her sister’s friends and doesn’t act like a chaperone. Josh also gets more and more annoyed because things are getting out of control and he doesn’t get to spend any time with Claudia. (That’s an ongoing theme in the book. Josh is a tiny bit annoying.) It’s not like anything scandalous is going on, though. The kids are decorating cookies and listening to music and eating pizza. My friends and I had crazier parties, and trust me our parties were the exact opposite of crazy. But some of the kids do get a little rowdy, and a vase gets broken, and suddenly we’re supposed to think they’re in a war zone or something. Then Russ and Peaches stop by and bust their nieces for throwing a party without their parents’ permission. All the party guests get kicked out, and Claudia and Janine dutifully clean up the house, dreading their parents’ return. When Mr. and Mrs. Kishi do come home, the girls rat themselves out before Russ and Peaches can, but their parents’ anger is soothed by the fact that the girls have cleaned everything up and cooked dinner. Oh, and their friends replaced the vase. In the super-stupid B-plot, the Korman kids have been fighting, so Mary Anne pretends they’re locked out of the house to make them work together. No, that’s really it. Thoughts: If I were the Kishis, I might actually be glad that Janine broke some rules. This is the most normal thing she’s ever done. Mrs. Kishi, freaking out about leaving the girls alone at home: “If you do feel ill…” Janine: “I’ll call the pediatrician, Russ and Peaches, the Simpsons, the neighbors, and put an ad in the paper.” Heh. Janine’s discovered the Internet, so now she’s unstoppable. And despite her high intelligence and academic leanings, I bet she still likes cat pictures. Hi, girls? It’s not your job to fix sibling rivalries. Your job is to keep the kids alive until their parents come home. If you keep doing the parents’ job, they’ll never learn. Summary: The BSC’s newest clients are the Cook/Madden family. Mom Rebecca is the granddaughter of one of Claudia’s favorite painters, Grandmother Madden. She’s in town to settle Grandmother Madden’s estate and clear out the house. Claudia’s excited because she thinks there might be some paintings in the house, but Rebecca says that after a bad review, her grandmother destroyed all her artwork. The only paintings in the house are from her students. Grandmother Madden’s grandchildren are the only ones with any of her paintings, and Rebecca’s the only one of them who actually likes hers, since she’s also a painter. The other grandkids won’t participate in the estate sale because they don’t think they’ll get any money. The BSC girls help with the estate sale, and since this is a mystery, weird stuff starts happening. Mr. Ogura, who works with the company holding the sale, keeps popping up and acting weird. Claudia also keeps spotting a woman who looks a lot like Rebecca. Rebecca’s husband, Mr. Cook, isn’t too thrilled to be involved with the estate sale, and has told his wife that he doesn’t support her decision to apply for art school. He also doesn’t support his seven-year-old son Jimmy’s love of painting. Mr. Cook is kind of a jerk. Other mysterious happenings: A yellow cat named Goldie shows up. Well, that’s not really mysterious, but Rebecca does mention that her grandmother had a series of yellow cats, all named Goldie. In fact, she put a little yellow cat in the corner of all of her paintings. 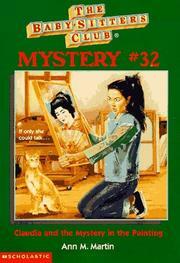 And Claudia finds a painting she likes of a Japanese woman, but it goes missing. There are all sorts of scenes with paintings being delivered and moved around, and it’s hard to keep track of what’s going on, but the bottom line is that none of the artwork in the house seems to be Grandmother Madden’s. Since Claudia’s only smart when it involves art, she figures out what Mr. Ogura and the mystery woman are after. The painting of the Japanese woman was painted over two of Grandmother Madden’s paintings stuck together. Instead of destroying her artwork, Grandmother Madden let her students paint over them. 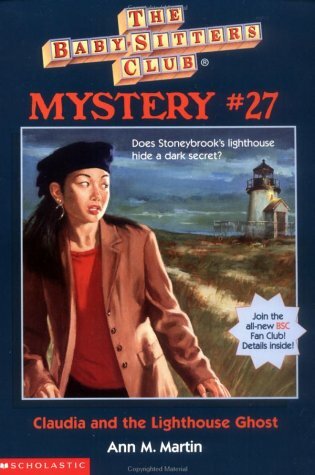 Also, the mystery woman is Rebecca’s cousin, who was hoping to get her hands on some paintings. Claudia busts her and Mr. Ogura, who were working together, after they lock her in a closet, which is really creepy when you think about it. I mean, she’s 13. The B-plot is also artsy: The girls are asked to help out with a new children’s art room at the Stoneybrook Museum. Ms. O’Neal, the woman who runs the room, is clueless about children and art, and thinks they should have structured assignments. The woman is so uptight she literally clutches her pearls. The girls have to keep convincing her that the kids should be allowed to explore and experiment. What’s nice, though, is that once Ms. O’Neal sees the kids’ artwork, she shows that she knows what to say to them and how to praise their efforts. Thoughts: Mr. Cook doesn’t think Jimmy should paint because painting is something you learn to do in kindergarten. Oh, yeah? Well, I learned math in kindergarten. Should I stop using math, Mr. Cook? In the end, he does become more supportive, but if I were Rebecca and my husband thought so little of something I was passionate about, I would think seriously about whether I wanted to stay in that marriage. Abby tells Corrie Addison she’s a great painter – as good as Pele. Really, she couldn’t think of one artist? Now, if you’ll excuse me, I have to stop writing – I learned the alphabet in kindergarten, so it’s no longer something I should be using. Surprise! Claudia’s actually been hanging out with a bunch of nine-year-olds! Summary: Claudia’s adjusting to being in the seventh grade, doing better in her classes and making friends. When she’s nominated as queen of the seventh grade, she realizes how popular she is. Then she wins and has to plan the seventh-grade prom with Mark, the most popular guy in the grade. He’s your typical cocky teenager, and all the girls love him. He’s like Cary Retlin crossed with Alan Gray, but desirable. And of course, he has a softer side, like when he admits to Claudia that he was held back in the third grade. Despite her newfound popularity, Claudia finds that being the queen isn’t that fun. Planning the dance is a lot of work, and Mark isn’t very helpful. Plus, the BSC girls aren’t really supportive and don’t care about her seventh-grade social life. Claudia and Mark kiss, and the girls flip out because he’s so immature and Claudia hates him and he’s, you know, not in the eighth grade. Claudia finally tells them all to shut up because she’s no longer in the eighth grade either. The dance goes fine, but Claudia and Mark never talk about their kiss. She talks to her seventh-grade friends about it, including Josh, who clearly has a crush on her that she’s clearly oblivious to. And then she totally friendzones him! Anyway, Claudia and Mark have to dance to the official seventh-grade song, and they kiss again, so apparently that means they’re dating, even though they never talked about their feelings for each other or anything. Yay, middle school! The B-plot is familiar: Sean Addison is ten and thinks he’s too old for a sitter (shades of Jeff Schafer and the Pike triplets). But he’s clearly not mature enough to watch his sister while their parents are out. The BSC girls try to give him freedom while they’re sitting, but he doesn’t quite follow the rules. One day he tells his parents there are no sitters available to watch him, so he’ll have to stay by himself. He tries to wash the dishes but uses the wrong kind of soap. Stacey comes to his rescue and tells him he’s not doing a great job of proving that he’s responsible. This is obviously a problem between Sean and his parents, but that family’s all kinds of messed up, so I wouldn’t be surprised if there’s never any conclusion there. Stacey keeps calling Claudia’s seventh-grade friends immature. Abby refers to Josh as “the little one.” I mean, I don’t like him either, but come on. Mark is, like I said, a typical seventh-grade boy, and what’s more annoying than that? Josh is the tagalong kid brother you just can’t shake. In some ways, he’s more annoying than Mark. Sean is a total brat to his sister, which is definitely not the way to get your parents to back off. It just made me hate the whole book. There’s a girl in the seventh-grade named Duryan. What kind of name is Duryan? The prom is publicized all over town, which is stupid since it’s only open to SMS seventh-graders. 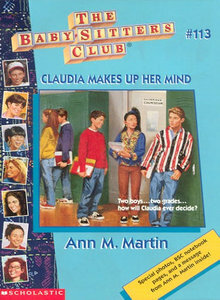 Claudia thinking one kiss is nothing but two means a relationship might be the most 13-year-old thing about her. 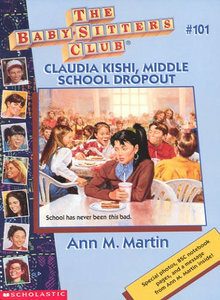 BSC #101, Claudia Kishi, Middle School Dropout: I Am So Smart! I Am So Smart! S-M-R-T! Summary: We already knew Claudia isn’t that bright, but now there’s proof: She’s doing horribly in eighth grade. (You’d think she’d be better at it since she’s done it five times, but whatever.) She agrees to get a tutor and try harder, but nothing helps, and no one thinks she’ll be able to catch up. Ultimately, Claudia’s sent back to the seventh grade. And she’s ticked. At first, things actually go well. Claudia remembers a what of what she learned in seventh grade the first time, and she has an easier time learning new material. The other girls in the grade think she’s cool and try to copy her clothes. But the social aspects of the change get to her – she can’t go to the eighth-grade Halloween dance, and she doesn’t have anyone to sit with at lunch, since she doesn’t know anyone else in the seventh grade. Claudia gradually gets more and more annoying about not liking being in the seventh grade. She accidentally insults Mallory and Jessi, since she believes anyone younger than an eighth-grader is immature, but doesn’t even realize it. Fortunately, she’s been taking an art class with a famous teacher who sees a ton of potential in her and awards her the grand prize in a class competition. The teacher confides that she was held back twice but has still accomplished a lot in her life. Claudia learns her lesson and starts adjusting to her new life. The B-plot is all touchy-feely: Jackie Rodowsky is just getting out of the hospital, and he tells the BSC girls and their charges how much the kids still in the hospital would like some company. This leads the girls to start a Hospital Buddies program, pairing healthy kids with hospitalized kids for letter writing and visits. The healthy kids also voluntarily split their Halloween candy with the sick kids. Thoughts: Claudia says she’s been tested and doesn’t have a learning disorder, but that can’t be true. At the very least, she has to have ADD. Oh, ghostwriter. There can’t be two Halloweens. “There wasn’t one person in that whole grade who even approached the level of coolness I’ve attained – and they all knew it.” Huh. Claudia’s kind of a bitca. I wish they’d addressed Claudia’s snobbery more. If I were Mal or Jessi, I would have said something about her attitude toward sixth- and seventh-graders. And she’s never had a problem with hanging out with 11-year-olds before, so it’s especially surprising here. 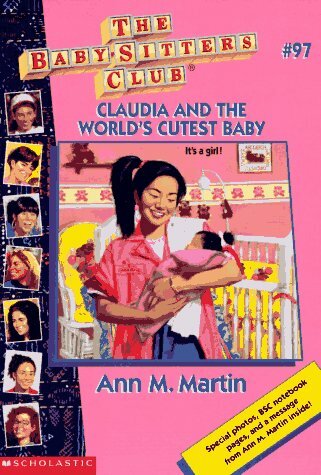 Summary: Claudia’s Aunt Peaches has her baby and Claudia quickly loses her mind. It doesn’t help that the baby is named Lynn, Claudia’s middle name, and Peaches and Russ ask her to be the baby’s godmother. She becomes obsessed with the kid, inviting herself over all the time and teaching her aunt and uncle how to parent. Peaches reacts in a way that some would describe as mean but that I would describe as totally appropriate: She tells Claudia to stop being a know-it-all. 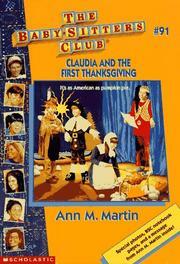 Claudia doesn’t realize how nuts she was until she goes on a class trip to Philadelphia. One of her classmates, Melissa, is basically obsessed with her and keeps following her around. Claudia just wants to hang out with Stacey and Abby, but the girls are too nice to say anything to Melissa. Melissa and Claudia get lost in Philly, pretty much because Melissa’s a know-it-all (are you sensing a pattern here? ), and Claudia gets mad at her. Melissa later apologizes for being a pest and Claudia realizes she was being a pest to Peaches. Peaches forgives her and asks her to be a little more considerate and maybe call before she comes over. In the B-plot, the Arnold twins keep watching horror movies and having nightmares. One night when Mary Anne’s babysitting, they watch a making-of feature on one of the movies, and the twins are fascinated by how all the special effects are done. They get really interested in becoming directors and make a movie with Kristy. It starts out kind of stupid, but I liked the resolution. Thoughts: No way is Claudia too dumb to know who Bach was. She does, however, know that “hermano” is Spanish for “brother,” so she’s smarter than anyone with the last name Bluth. The baby gets Claudia’s middle name and Claudia for a godmother. If I were Janine, I’d be pretty ticked. I’d love to know where Claudia got the money to buy so much stuff for Lynn and Peaches. I mean, a fully-stocked diaper bag? No 13-year-old has that kind of cash; I don’t care how much sitting she does. Some parents attend a rehearsal and suddenly a bunch of them are furious about the way Thanksgiving is being presented. And they go incredibly over-the-top about it, even labeling the play “un-American.” Finally the principal decides that the class has to either rewrite the play so it’s more “traditionally” Thanksgiving or scrap it altogether. At first the class wants to scrap it so the protesters don’t get the pleasure of getting their way, but when the class realizes that the kids will be disappointed, they agree to a rewrite. However, they decide to go on under protest, printing “censored” on everything and basically protesting the protest. The kids perform the rewritten play, and then some SMS students stage the original play. A ton of protesters show up and disrupt everything, even booing the actors and making it impossible for them to continue. (So reasonable and appropriate.) After the play is over, the class tries to avoid the protesters, and then suddenly it’s all over. And I guess 20 years later the crazy super-super-conservative protesters start demanding to see politicians’ birth certificates. Meanwhile, it’s actually Thanksgiving, and while all the BSC girls had plans that took most of them out of town, they get canceled, so everyone’s in Stoneybrook for the holiday. They come up with the “brilliant” idea to get everyone’s families together for dinner. That means dinner for 36 people. I don’t know why in the world their parents would agree to this. Oh, and then Dawn makes a surprise appearance. Thoughts: “One of Stacey’s favorite classes was called Math for Real Life. (I would call a course like that Learning to Hire an Accountant, but who asked me?” Ha! I’m right there with you, Claudia. I’m surprised no one objects to Carolyn playing a male character. I like that Claudia admits that the play isn’t actually that great. Usually the BSC girls are super-duper awesome at everything, but it’s much more realistic that a play written by a bunch of 13-year-olds in a short amount of time would be pretty mediocre. Now, if Mallory had been one of the writers, I’m sure it would have been a different story…. While the BSC girls, Sam, Charlie, and Janine are watching everyone’s younger siblings at the Pikes’ house, Sam tells the triplets he’s hiding a dollar bill (made into an origami turkey) and they have to clean their room to find it. Then he tapes it to the handle of a broom, knowing they’ll never look there. Sam is almost as cool as Charlie.